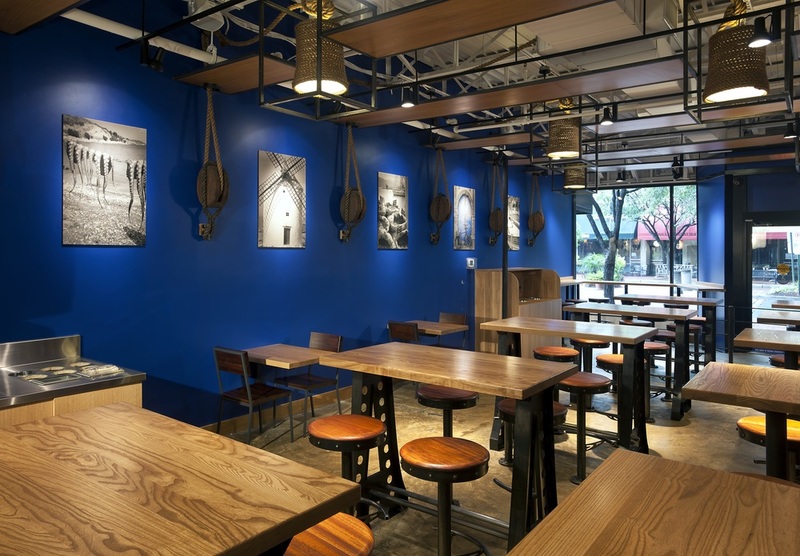 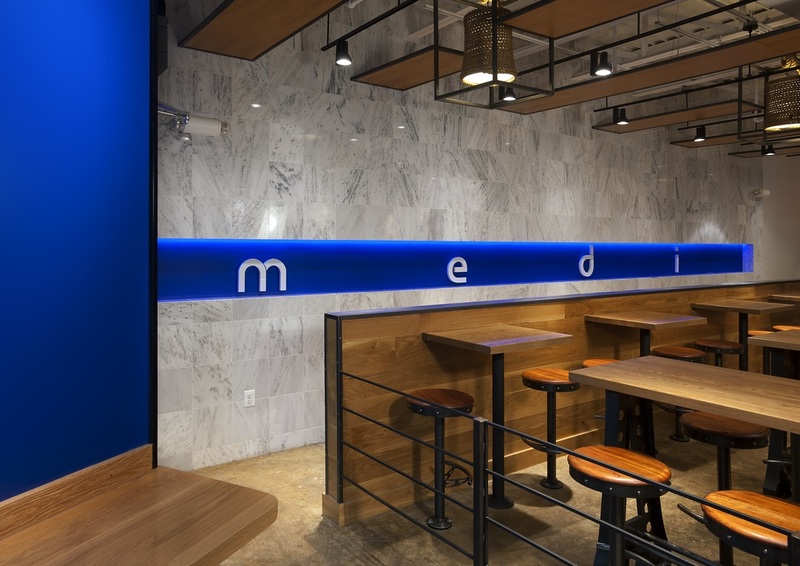 Medi is a restaurant in Arlington, Virginia that pays homage to the Mediterranean and the client's’ Greek heritage. 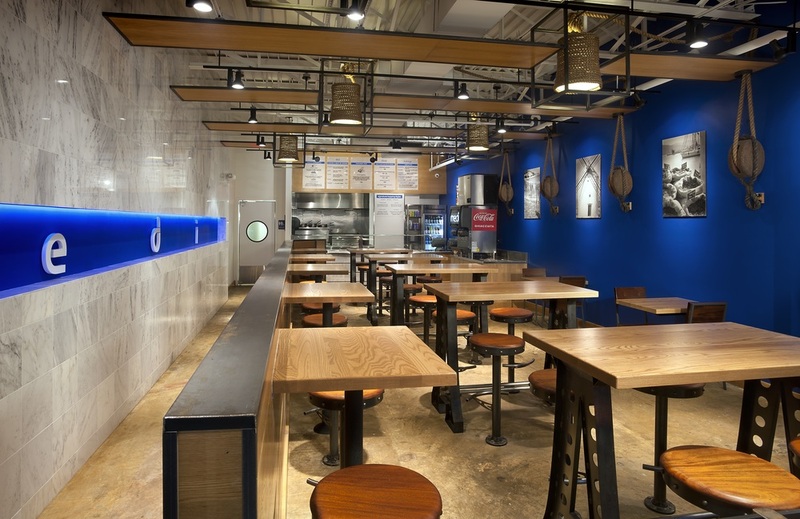 Through the usage of white stucco, marble, and an eye-catching blue entry door, guests get to feel like they are in a Greek coastal town while enjoying gyros, pitas, and other Mediterranean fare. 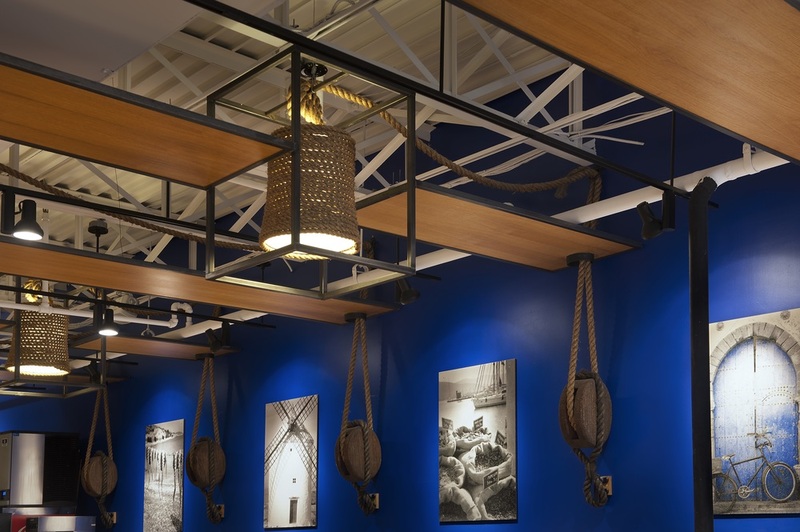 The modern and fresh 40-seat quick service restaurant further captures the old world charm of this area through black and white photography and vintage pulleys referencing the Mediterranean coast. 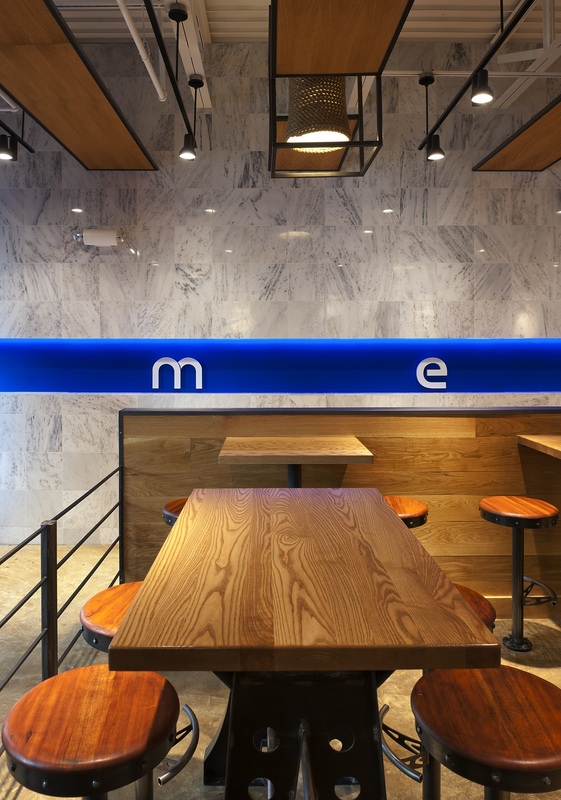 With a small floor plan, GrizForm Design Architects incorporated a color palette of whites and blues to help open up the space. 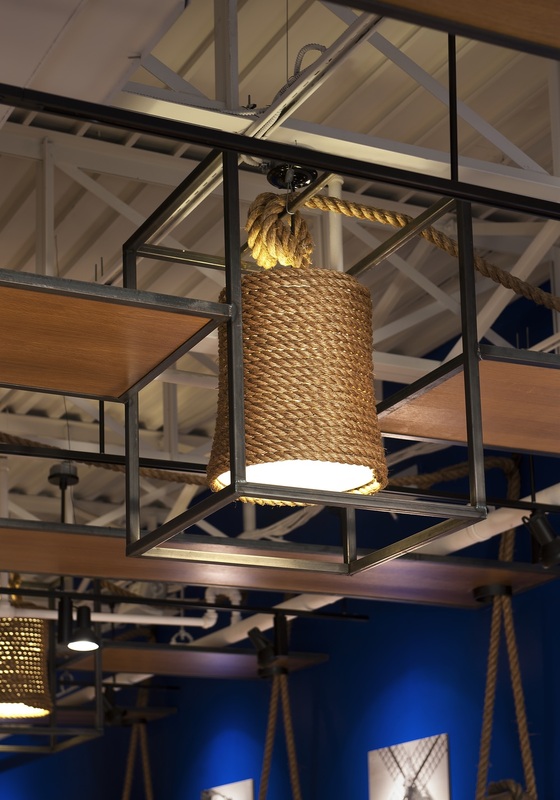 Oak wood walls and ceiling beams also add a bit of warmth to the aged building while an unfinished concrete floor helps balance the rustic yet contemporary look.